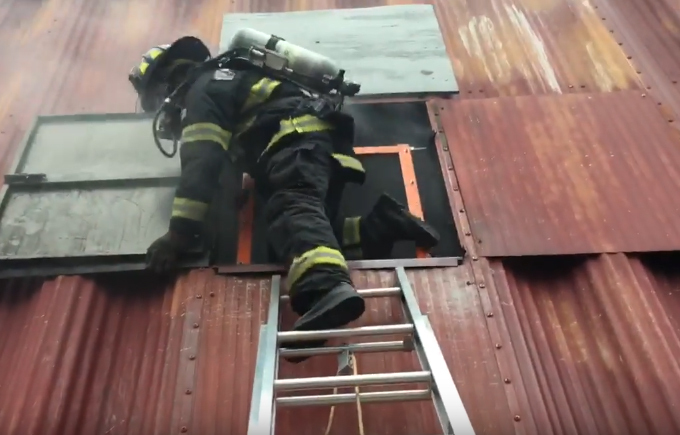 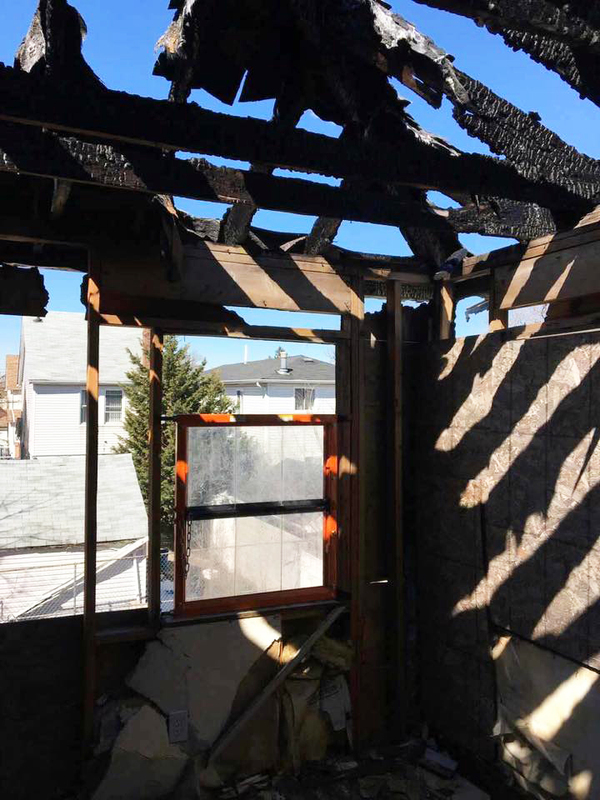 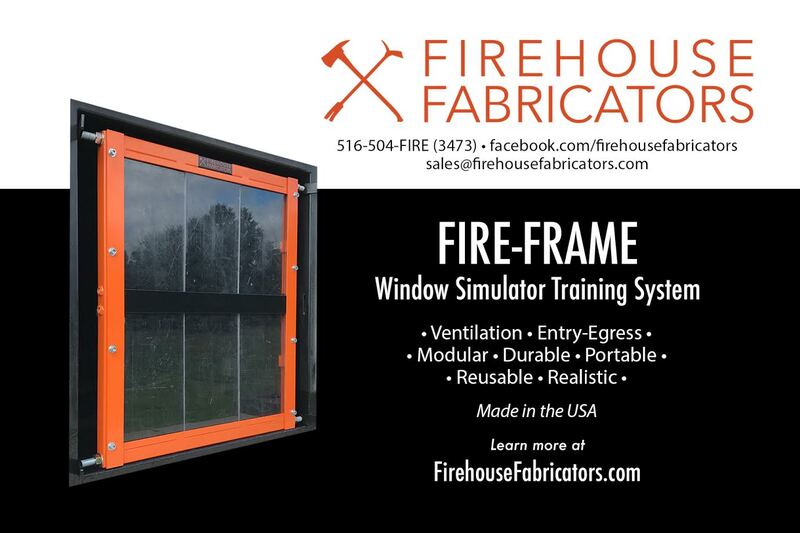 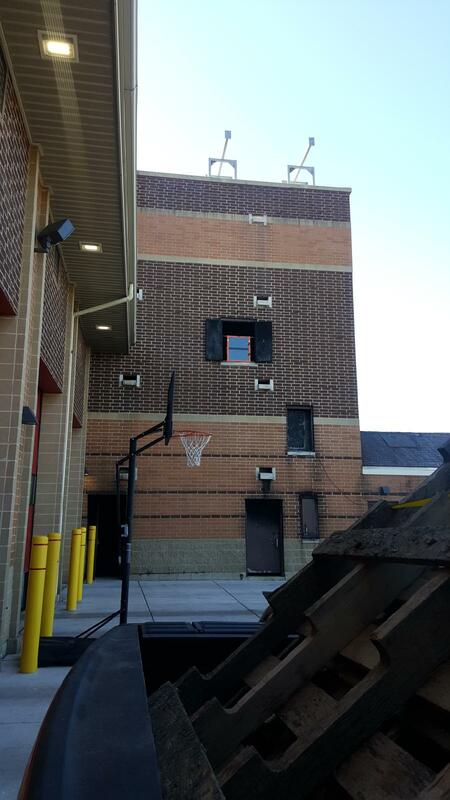 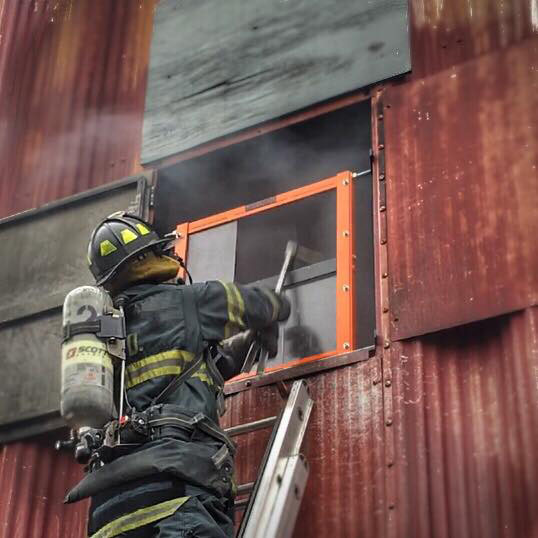 The Fire-Frame Window Simulator is the first training prop of its kind. 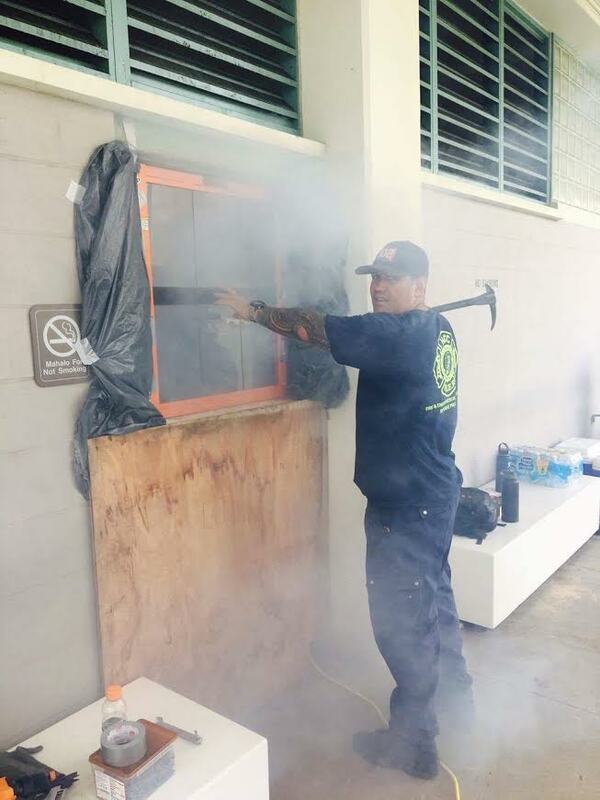 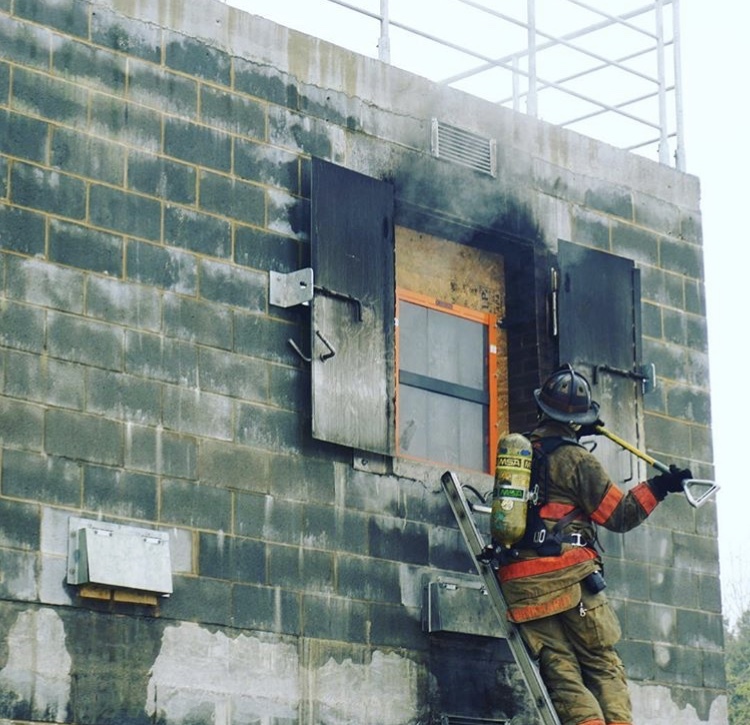 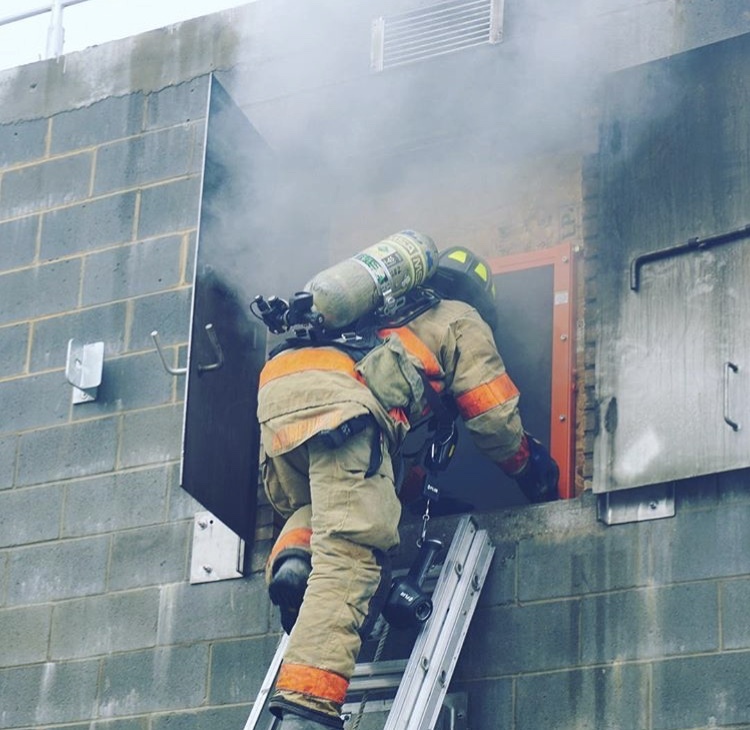 Constructed of nearly 80 lbs of steel and unbreakable polycarbonate panels the prop allows students to train on the various tactics for window ventilation, entry and egress as well as cutting window bars. 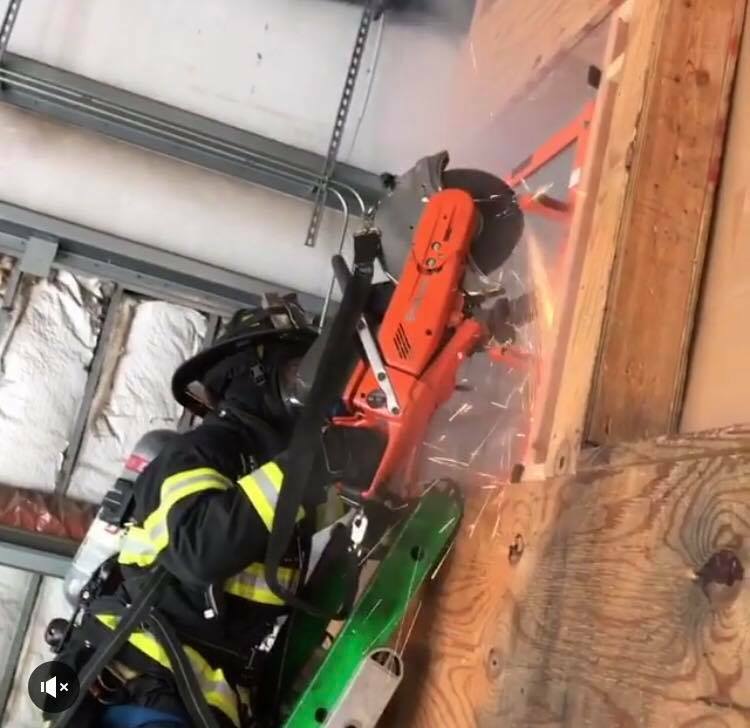 The prop is portable, utilizing four jacks to securely clamp it into the opening of an already existing training structure in a temporary manner. 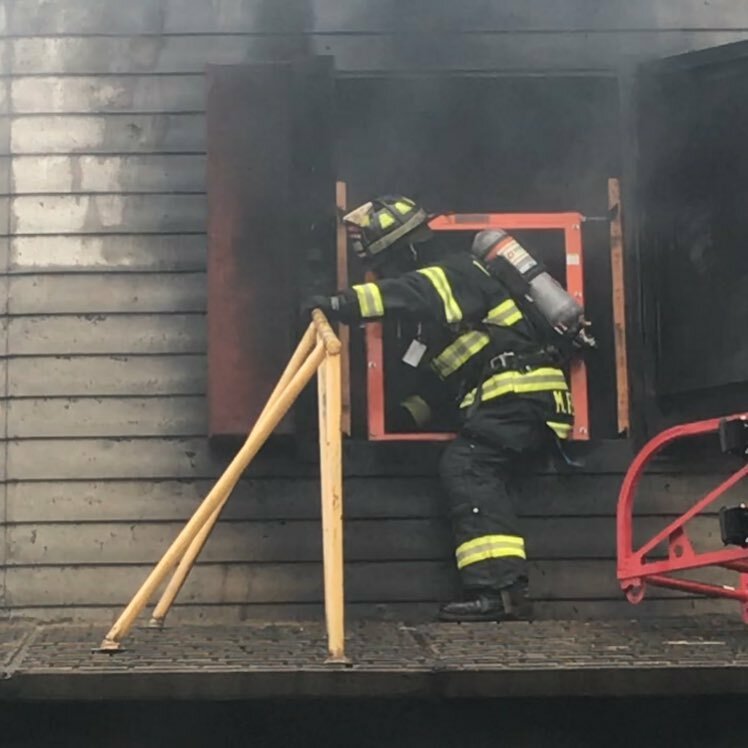 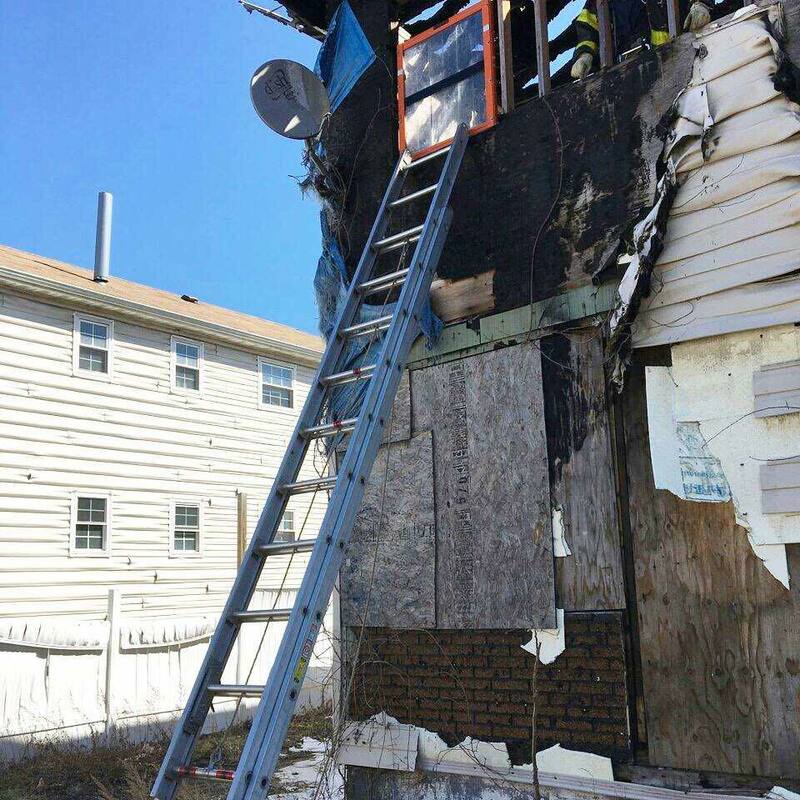 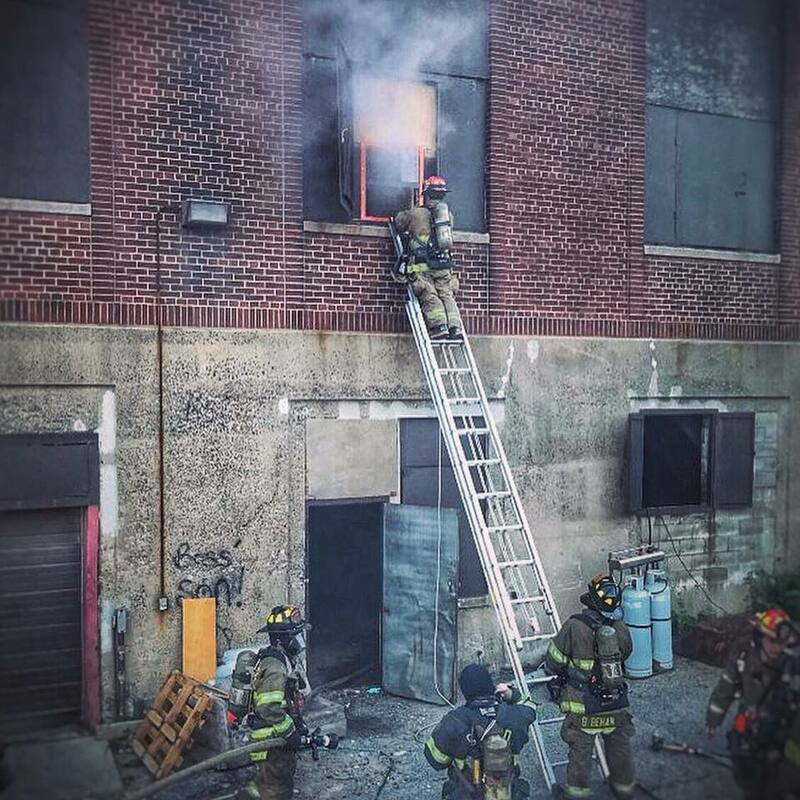 Inexpensive and simple to use, the Fire-Frame is the most realistic way to enhance your training. 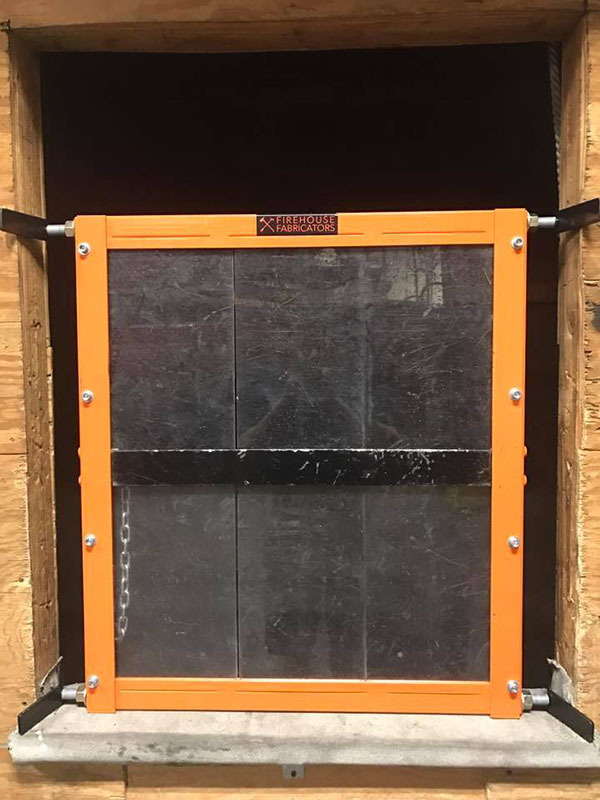 Prop requires minimum unobstructed opening of 35" x 35"
Mounting jacks will extend to accomodate opening up to 50"